Highly regarded company Reckless Sleepers go back and forward in time, recreating one of its most celebrated performances Schrödinger. 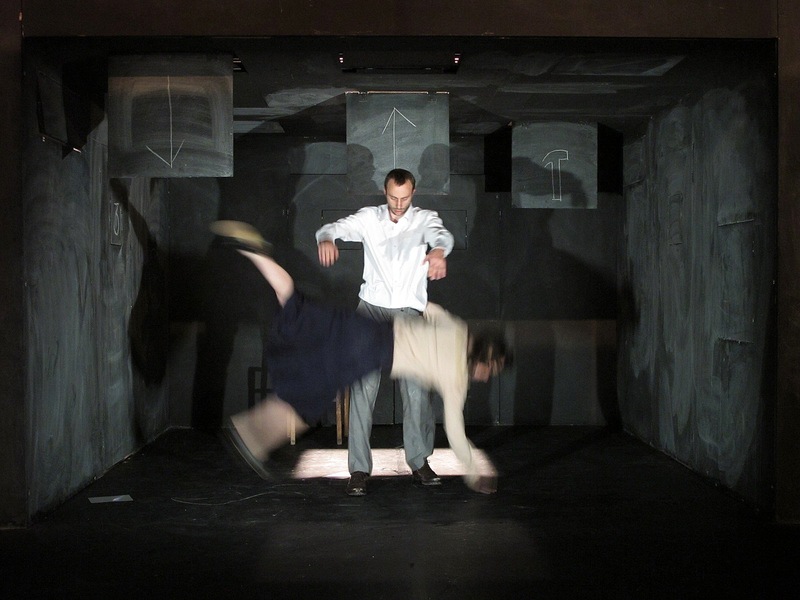 ‘On stage is a box with hatches and doors. It can be the box where the cat is locked up or an experimental chamber. The chamber is populated by a group of experimenters / artists, trying to conduct research into immeasurable theories. Schrödinger is about thought experiments, cats, René Magritte, love, time, mathematics, observations, truth lies and alcohol.’ Tickets here. Previous: SPILL Festival of Performance kicks off in Ipswich in less than 2 weeks! Next: Fancy an art workshop hosted by one the UK’s most notorious ex-forgers?